Selected Ranges and Limited Editions All Items are Gift Boxed! Medium sized mug. In the Stems design. Tall sized mug. In the Stems design. Large Pint sized mug. In the Stems design. Mini sized Jug. In the Stems design. Small sized Jug. In the Stems design. Medium sized mug. In the Beach Hut design. Tall sized mug. In the Beach Hut design. Large Pint sized mug. In the Beach Hut design. Mini sized Jug. In the Beach Hut design. Small sized Jug. In the Beach Hut design. 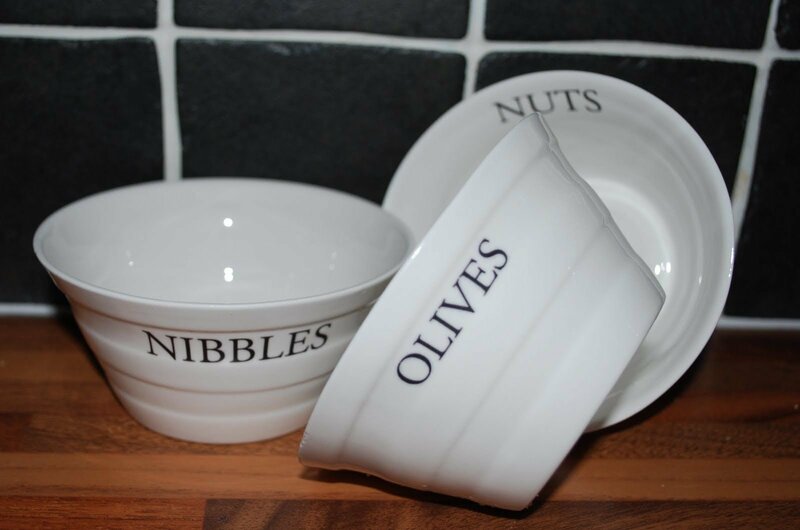 Nuts, Nibbles and Olives Bowl Sets Set Of 3 Bowls - These are just perfect. Medium sized mug. In the Birdie design. Tall & slim mug. In the Birdie design. Large tankard, holds 1 pint of tea or coffee. In the Birdie Design. Mini straight sided jug. In the Birdie design. Small 1/2 pint straight sided jug. In the Birdie design. Large 4 cup teapot. In the Birdie design. Medium sized mug. In the Pink Heart design. Tall & slim mug. In the Pink Heart design. Large tankard, holds 1 pint of tea or coffee. In the Pink Heart Design. Mini straight sided jug. In the Pink Heart design. Small 1/2 pint straight sided jug. In the Pink Heart design. Large 4 cup teapot. In the Pink Heart design. Medium sized mug. In the Lavender Fields design. Tall & slim mug. In the Lavender Fields design. Large tankard, holds 1 pint of tea or coffee. In the Lavender Fields Design. Mini straight sided jug. In the Lavender Fields design. Small 1/2 pint straight sided jug. In the Lavender Fields design. Medium sized mug. In the Daisy design. Tall & slim mug. In the Daisy design. Large tankard, holds 1 pint of tea or coffee. In the Daisy Design. Mini straight sided jug. In the Daisy design. Small 1/2 pint straight sided jug. In the Daisy design. Medium sized mug. In the Boat design. Tall & slim mug. In the Boat design. Large tankard, holds 1 pint of tea or coffee. In the Boat Design. Mini straight sided jug. In the Boat design. Small 1/2 pint straight sided jug. In the Boat design. Medium sized mug. In the Snowdrop design. Tall & slim mug. In the Snowdrop design. Large tankard, holds 1 pint of tea or coffee. In the Snowdrop Design. Mini straight sided jug. In the Snowdrop design. Small 1/2 pint straight sided jug. In the Snowdrop design. Medium sized mug. In the Robin design. Tall & slim mug. In the Robin design. Large tankard, holds 1 pint of tea or coffee. In the Robin Design. Mini straight sided jug. In the Robin design. Small 1/2 pint straight sided jug. In the Robin design. Medium sized mug. In the Christmas Pudding design. Tall & slim mug. In the Christmas Pudding design. Large tankard, holds 1 pint of tea or coffee. In the Christmas Pudding Design. Mini straight sided jug. In the Christmas Pudding design. Small 1/2 pint straight sided jug. In the Christmas Pudding design. Medium sized mug. In the Grey Tree design. Tall & slim mug. In the Grey Tree design. Large tankard, holds 1 pint of tea or coffee. In the Grey Tree Design. Mini straight sided jug. In the Grey Tree design. Small 1/2 pint straight sided jug. In the Grey Tree design. Medium sized mug. In the Snowman design. Tall & slim mug. In the Snowman design. Large tankard, holds 1 pint of tea or coffee. In the Snowman Design. Mini straight sided jug. In the Snowman design. Small 1/2 pint straight sided jug. In the Snowman design.